HepvO, the sanitary waste valve can be installed in a number of bathroom applications including; Lavatories, Bath Tubs, Bidets, and Showers. As house design becomes more complex, there is greater potential for pressure fluctuations to occur in plumbing systems. 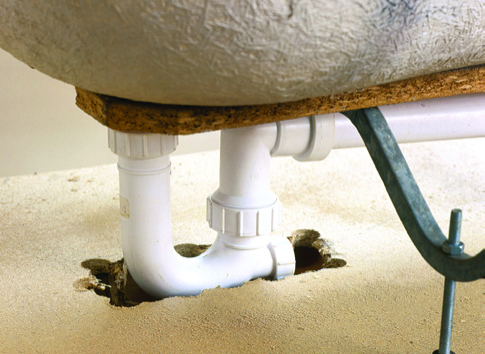 This might not sound too serious at first glance; however it can lead to the standard water seal traps fitted under sinks, basins and showers to fail. 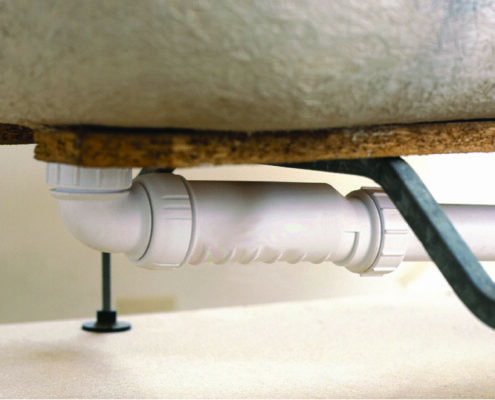 HepvO can be installed horizontally by using the 90 degree adapter, which avoids cutting the floor under baths and showers to accommodate the ‘U’ bend of a trap. Solve your waste trap issues today! Buy your HepvO kit online and get it delivered to you in no time! Our home is old, poorly configured for modern, standard plumbing, and also on a septic system in a very isolated flood plain in a temperate rain forest averaging 80 inches of rain every year. These present a variety of challenges, especially where issues overlap. The most challenging, however, was when my husband neglected to install a p-trap under our new tub/shower after a long-awaited remodel. We use a gray water system on the sink and shower to alleviate the water load on our septic tank and leach field. This resulted in some very unpleasant odors in our main bathroom. Rather than tear out a brand new tub/shower, we installed the Hepvo on the exterior side of the wall. It has successfully eliminated unpleasant odors and we have had no problems with it. We were so happy with its performance that we used a Hepvo when we installed a propane-fired Ofuro hot tub on our patio, gray watered to our garden. Again, it has worked flawlessly for drain odors and prevents the ingress of small critters. A slug or tree frog in your Ofuro can be a very surprising event. Although p-traps are the accepted standard, they are mechanically and/or financially unfeasible in some situations where the Hepvo works easily and inexpensively.